Celebrating 40 years since man landed on the Moon. Also sprach Zarathustra, Op. 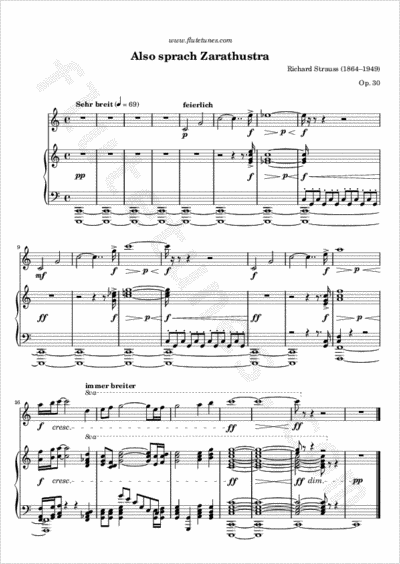 30 (in English “Thus Spoke Zarathustra”) is a symphonic poem by Richard Strauss, composed in 1896 and inspired by Friedrich Nietzsche's philosophical treatise of the same name. Its introduction, which we are proposing today in an arrangement for flute and organ, has become well-known owing to its use as the key musical motif in Stanley Kubrick's 1968 film 2001: A Space Odyssey.